I want to present Tintasangre’s 2012 new bike projects and recycled bicycles public activities, and invite you to check Tintasangre5 YouTube channel handmade bike videos. These are my new projects and bike experiments. This is recycled bicycle, very fast to build. 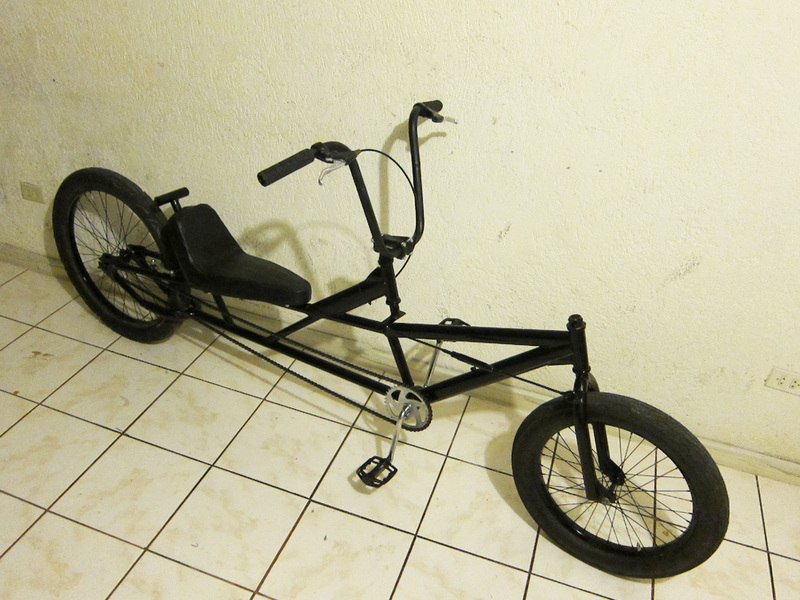 Combined a BMX frame with a MTB frame and Chopper Handlebar and tires (20″ front w-24″ rear w). My first attempt of this front transmission system. Built with garage materials for the test ride, but have to say this system is very stable (especially when compared with long fork choppers). The bike is very easy to ride. Most people of different sizes could drive it. 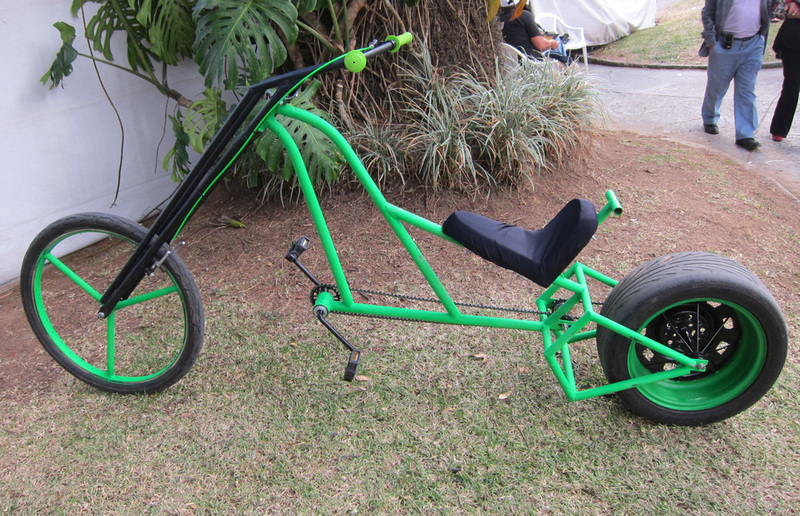 This machine is a cross between a recumbent and a cruiser chopper bike. This is a 2 week project, the fourth version upgrade of the former Clownbike. 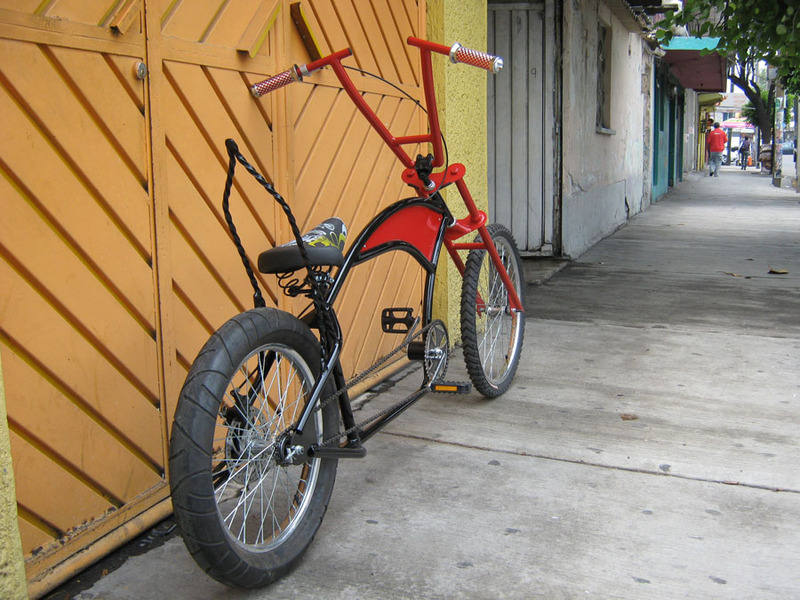 The objective was to create a long, but still very comfortable sporty chopper. I tried to be very careful with the design line, composition, and color. This has become one of the favorites because of the feeling you get while you riding it. This Machine is totally inspired in the original ATOMIC ZOMBIE OVERKILL PHAT CHOPPER. A long time ago, I was dreaming to create this bike. This is my first experiment of the oversize car wheel drive system. I didn’t put bicycle spokes on it; just used the normal wheel, hacked the hub and centered with iron bars (this part took some time). 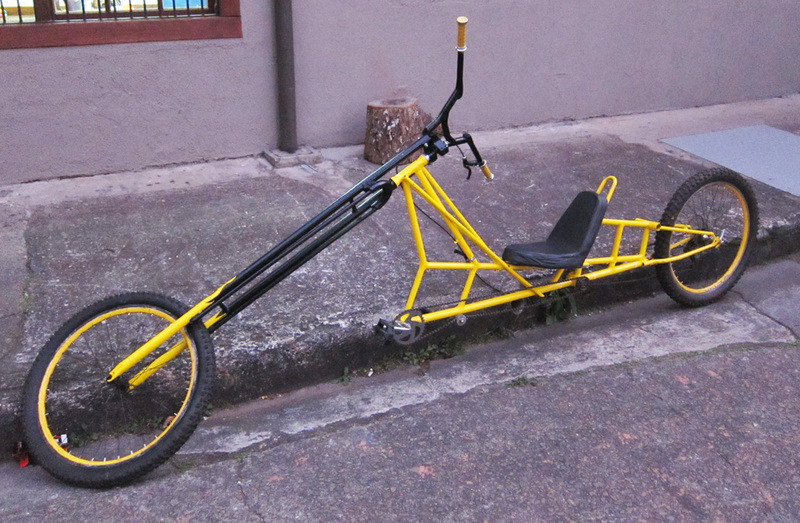 I made a 3 spoked front wheel, comfortable seat and handlebars, and cruiser-chopper angles combination. 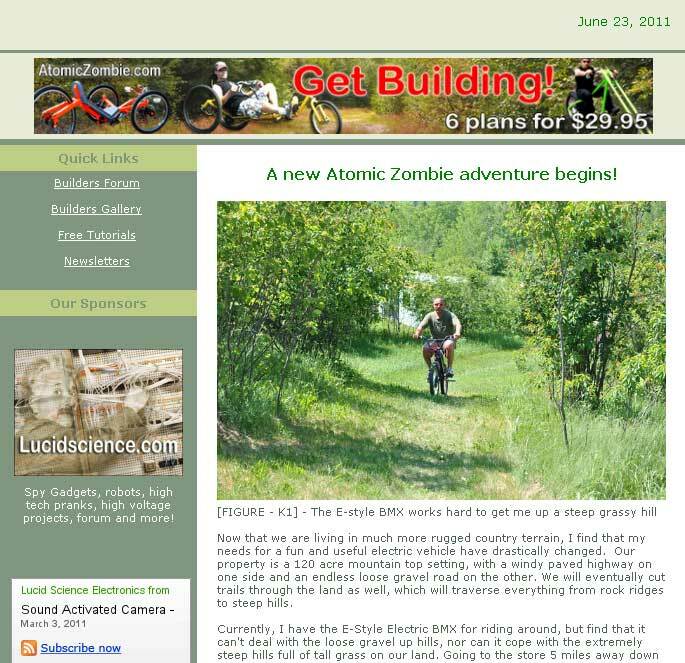 A very special thanks to Atomic Zombie for their web tips and motivation to go through this project! It’s very nice to be in contact with you and all bike builders. Best Regards! 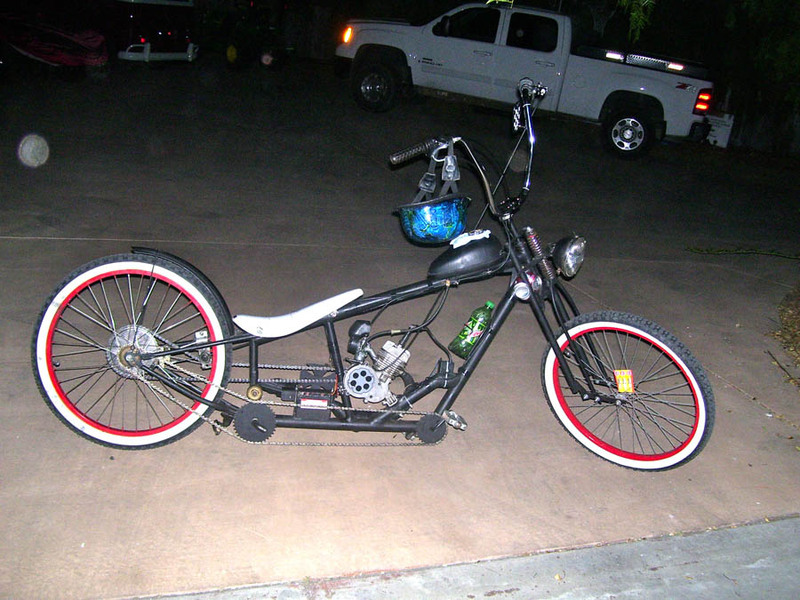 Thank you, Erik, for sending us pictures of your new choppers. Amazing workmanship, as usual! Muchas gracias, amigo! 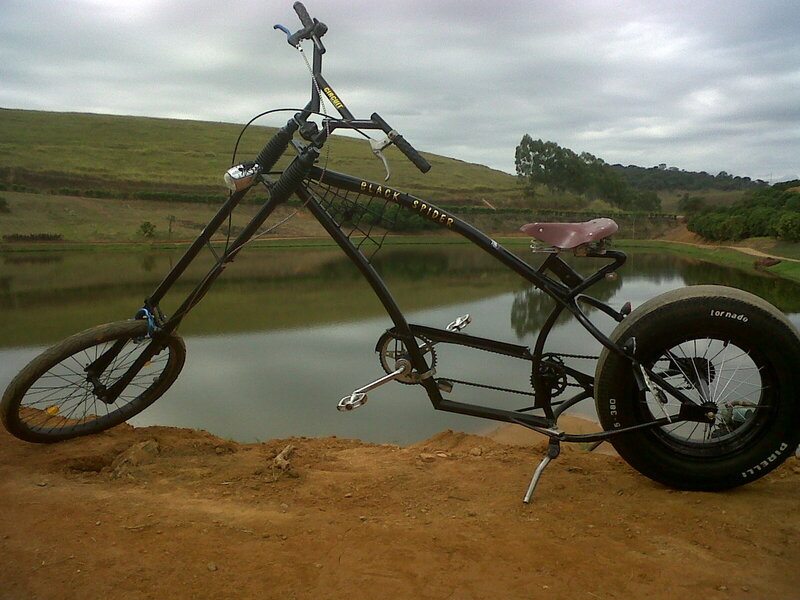 Another awesome bike chopper. Muchas gracias, Victor! “Here is my RD bike. I built it about four years ago. This is a four speed, two forward pedal gears and two back pedal gears. 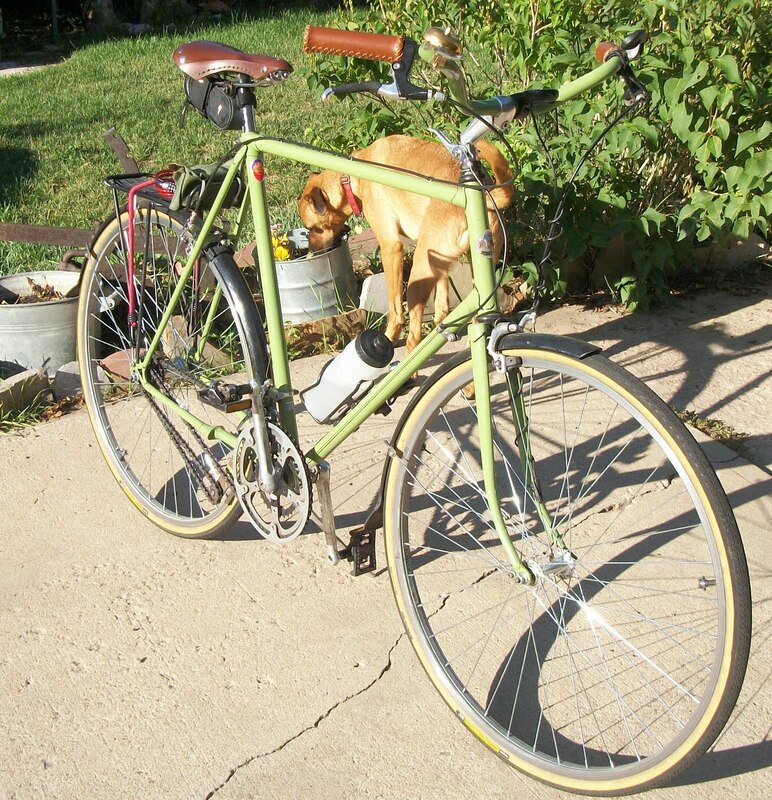 “Scout” is a solid commuter/townie as well as an intrepid explorer. The transmission was patented in the 1880s, so it’s nothing new. I’ve pedaled Scout forwards and backwards thousands of miles and it just keeps going (forward). We have a new look and you’ll notice that the newsletter in PDF format again. Thanks for your feedback. Keep those suggestions coming. 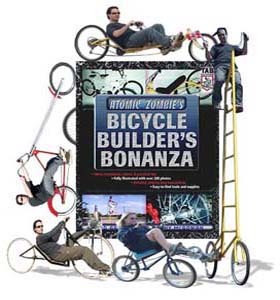 See newest additions to the builders gallery, read about a new Atomic Zombie adventure, a bike builder’s story and more here.